A lot has been discussed about testosterone’s ability to induce fat-loss, enhance muscle growth, and increase libido. That’s all good and well, but testosterone’s true impact extends far beyond just these three areas. As a man, your testosterone levels are a major driving force in your overall health, energy, and well-being. In this article, I’ll go over the importance of this hormone and how it impacts various aspects of your mind, body, and behavior. Elderly men (over the age of 50) screened for subjective memory complaints and low testosterone levels were brought into a lab and assessed for various measures of cognitive functioning. After baseline measurements were established, participants were given varying doses of testosterone treatment. The experiment lasted 52-weeks, after which participants across the board showed significant improvements in general cognitive functioning. Similar results were found in another study, in which 8-weeks of testosterone treatment significantly improved verbal fluency in healthy men. How testosterone impacts the brain is not exactly understood, but researchers theorize that T plays a role in preventing brain tissue decay. This might explain why men with low testosterone have an increased chance of developing Alzheimer’s disease. To ensure that your mind stays sharp and healthy well into old age, it’s important that you keep your testosterone levels in check. In a study of 108 elderly men (over the age of 65), participants were randomly assigned to wear either a testosterone patch or a placebo patch for 36 months. Bone mineral density measurements were recorded before and after the 36-month period. At the end of the experiment, researchers found that the lower the pretreatment testosterone level of the subject, the greater the effect that testosterone treatment had on increasing the bone mineral density of their lumbar spine. In another study, 609 men (over the age of 60) were observed over a period of 16 years. Bone mineral density and lifestyle factors were assessed at baseline and testosterone levels were also taken into account. After analyzing the data and adjusting for factors such as age, weight, fracture history, smoking status, and calcium intake, researchers found serum testosterone to be independently associated with the risk of osteoporotic fracture. The strength of your bones is directly correlated to the amount of testosterone running through your veins. To minimize your chances of developing osteoporosis and other bone complications, it is essential that you develop the habits to help maintain optimal levels of testosterone. Testosterone’s primary function is the strengthening of your body’s muscles, and no muscle is more important than your heart. In an examination of 83,010 elderly men with documented low testosterone levels, researchers observed how testosterone replacement therapy (TRT) impacted the subjects’ cardiovascular health. 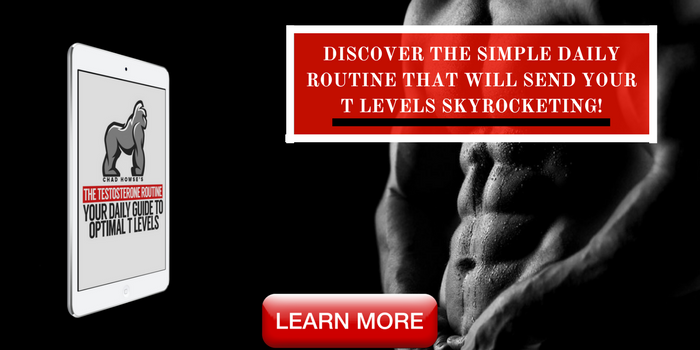 After analyzing the data, researchers found that the normalization of the subjects’ T-levels after TRT led to a significant reduction in the risk of developing cardiovascular disease. Similar results were reported in another follow-up study of 11,606 men, in which low testosterone was noted as a possible predictive marker of cardiovascular disease. When compared to men with normal testosterone levels, men with low T tend to have significantly higher body mass index, systolic blood pressure, triglycerides, cholesterol, and blood sugar. All of these factors affect cardiovascular health negatively. One of the mechanisms through which testosterone improves heart health is by stimulating red blood cell production. Hemoglobin is a compound present within red blood cells that carries oxygen. By increasing red blood cell production, testosterone allows for a more effective transport of oxygen throughout the body. In a study of 64 men, each subjects’ T-level was assessed before and after a rigged one-on-one competition. After the first round of competition, participants chose whether or not they wanted to compete again. Researchers found that fluctuations in T-levels independently predicted whether or not subjects would choose to compete again. The losers who experienced a spike in T were more likely to choose to compete again compared to the losers who experienced a drop in T.
In another study, university tennis players were assessed for their testosterone measurements across six matches during their varsity season. Researchers found that T-levels rose just before matches and that the players with the highest pre-match T reported the most positive improvement in mood. After playing the matches, T-levels in the winners were higher compared to the T-levels in the losers. The winners also experienced higher T before their next match compared to the losers who had lower T before their next match. Competition is a fundamental aspect of our nature as men, and research confirms that testosterone factors in to affect this trait. That being said, this relationship could just as easily be affected in reverse. For example, a mindset centered on performing well could also boost T, which would then further fuel your competitive drive. 76 men were brought into a lab in pairs and instructed to compete for the attention of an attractive female. Researchers found that the subjects’ pre-competition testosterone levels were positively associated with their expressions of dominant behavior and with how much the woman indicated that she “clicked” with each participant. The conclusion of the study was that testosterone plays a major role in regulating the behaviors that enhance mating success. In another study, researchers investigated the relationship between circulating testosterone and both masculinity and attractiveness of facial appearance. What they found was that, across the board, composites from high-testosterone men were judged to be more masculine and more attractive than those from low T men. In a meta-analysis of 16 human trials with a total of 944 subjects, researchers observed a significant positive impact of testosterone treatment on mood. This finding is further exemplified by the results from another study, in which 6-months of testosterone treatment helped 19 out of 30 men overcome depression. In yet another study, 3987 men were assessed for depressive symptoms, of which 203 were diagnosed with depression. When analyzing the data, researchers found that the participants with depression also had significantly lower testosterone levels than the non-depressed men. They concluded that men with testosterone levels in the lowest quintile have the highest prevalence of depression. Irritability, anger, uncertainty, and aggression are all emotions that tie back to mood. If you’ve been experiencing these emotions more frequently as of recent, it’s likely that low testosterone is a contributing cause. Taking the steps to increase your T can definitely help overcome these emotions and allow you to feel more relaxed and at ease. In an interesting study of male financial traders, researchers found that a trader’s morning level of testosterone was predictive of his day’s profitability. The traders willing to incur the most risk also set themselves up with a higher chance of scoring big. Similar results were found in another study, in which both men and women with high testosterone consistently showed a willingness to incur greater financial risk while gambling than their lower testosterone counterparts. And if that wasn’t enough, MBA students with the highest testosterone levels were more likely to choose the riskiest careers in finance. By definition, risk is associated with potential downside. That being said, risk is definitely something you have to indulge in in order to rise above your current circumstances. As the saying goes “high risk equals high reward”. Don’t look at risk as something good or bad but just know that, without it, growth cannot occur. 794 men (aged 50-91) were followed up with over a period of 11.8-years. During the follow-up, 548 deaths occurred. When observing the data, researchers found that the men with total testosterone levels in the lowest quartile were 40% more likely to die than those with higher levels. This relationship held true even after adjusting for factors such as age, body fat, and lifestyle. Low testosterone levels are independently associated with an increased mortality rate in elderly men. Of course, it’s not only about living longer. Quality of life is equally important. And given the benefits listed above, testosterone helps in that regard as well. Testosterone is the biological cause of masculinity. Everything that you would consider “manly” (deep voice, broad shoulders, facial hair, etc.) can be traced back to the amount of testosterone running through one’s veins. That being said, the influence of this hormone is far wider than just controlling these characteristics. The strength of your bones, the health of your heart, and the function of your brain are all aspects on which testosterone exerts a major influence. By developing the lifestyle habits that align with the maintenance of optimal T, you will ensure that your mind and body are functioning near peak potential. By maintaining these habits over the long-term, you will sustain your youth and virility well into old age. 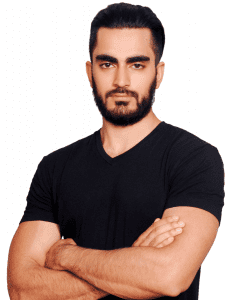 Mo Saleem is an independent men’s health researcher and founder of TripleYourT.com. His mission is to empower men with the evidence-based action steps to help optimize their testosterone levels so that they can actualize their potential.